We round up the 30 best design studios and branding agencies in the new issue of Computer Arts – on sale now. With summer winding down, there's no better time to look back and take stock. And that's just what we're doing in the latest issue of Computer Arts magazine, which is on sale now. 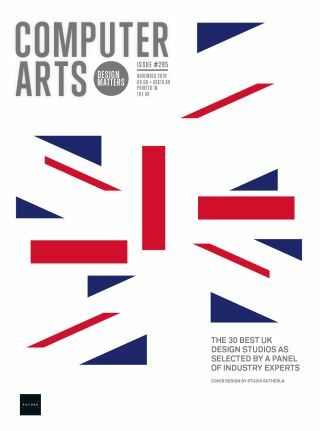 In issue 285 we reveal the 30 best UK design studios and branding agencies. as selected by a panel of industry insiders. Do you agree with who they crowned number one? So what sets these studios apart from the pack? Well, one of the recurring themes we came across when assessing the studios and agencies was the idea of generosity backed up by inspiring talent. From the prolific Pentagram to the conscientious Koto, it looks like there are plenty of studios trying to steer the commercial industry in a better direction. And that's without mentioning the runaway success of Magpie Studio, the relationship focussed projects put out by Taxi Studio, and the diversity oriented Here Design. With so much good work to enjoy, there's plenty here to learn from. Elsewhere in issue 285 we look at how Brand Brothers ushered a Parisian gym brand into the arts, explore the negative space of Thomas Hedger’s prints, and showcase the hottest new design, illustration and motion talent. Meanwhile, designers share their thoughts on the PATH rebrand, we hear how words can create a successful brand, and we even find time to discover why we should all be striving for the 'work-love' balance. Take a closer look at what's inside Computer Arts issue 284 by scrolling left to right through the gallery below. Computer Arts is the world's best-selling design magazine, bursting at the seams with insight, inspiration, interviews and all the best new design projects. For all this delivered direct to your door each month, subscribe to Computer Arts. Right now you can save up to 60%, and receive a free Computer Arts tote bag when you subscribe.